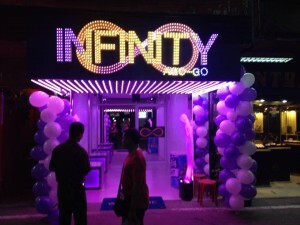 The trendiest and newest Gogo in walking Street may have had it’s “soft” opening a few weeks ago but Friday 19th Sept was the “Official” opening party of Infinity Agogo and Flirt-Pattaya had to pop down to see what all the fuss was about. This girly pink themed gogo bar is the brain-child of the guys that brought you the successful Booze lounge group and with that in mind it was no surprise that high on the list of must-haves was a friendly atmospheric, relaxing vibe in which to enjoy a good, fun night out. The layout of the joint is a super-long fairly narrow establishment but somehow they have created a Dr-Who tardis effect by making it feel neither cramped or small. The central dancing podiums area have split high and low level pole stages and can accomodate about 10 girls and on either side we have simple bench sofa style seating with small side tables to sit your beer. The general theme of the ladies seem to be silver hot pants and glitzy bikinis and Flirt-Pattaya seemed to spot one hottie after another. Without being too sexist, if you like to google over the nicest, cutest rears in Pattaya, i’d get yourself down to this entertainment venue. The place is comfortable and the music isn’t too loud that you can’t have a chat. They have a good selection of lovelies adorning the stages and they are a happy smiley bunch that keep the fun going. Here at Flirt towers we like to tell it like it is and it’s not all good tho, especially when it comes to Lady Drinks, as we feel the 140 baht price tag could be on the slightly high side of things and the girls did push a little too hard for the aforementioned drinks. It might be a smoke-n-mirrors point but much better to reduce these to 120 baht and let the punters decide when to buy. They’d probably spend more and feel like they are in more control and hence feel better about a large tab at the end of the night. Win-Win for everyone ! 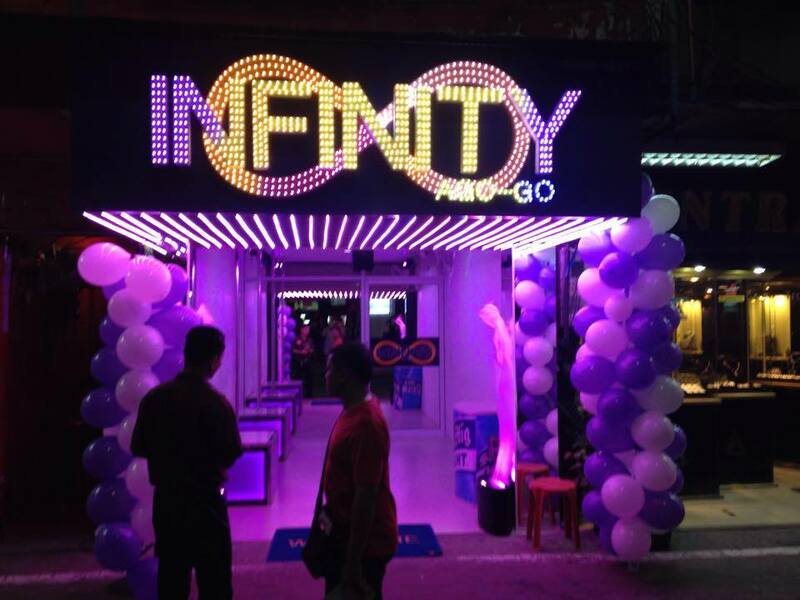 Flirt-Pattaya wish the guys down at Infinity all the success for the future and we will be regular visitors…..just shave those LD’s a little bit please !